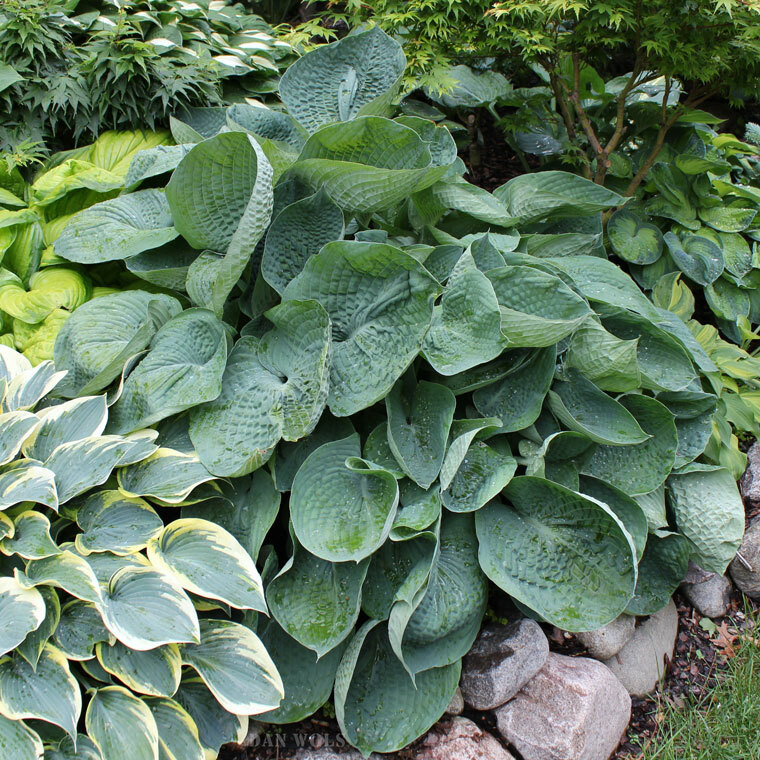 Rob's column covers his picks of the most exciting new hostas soon to be available. 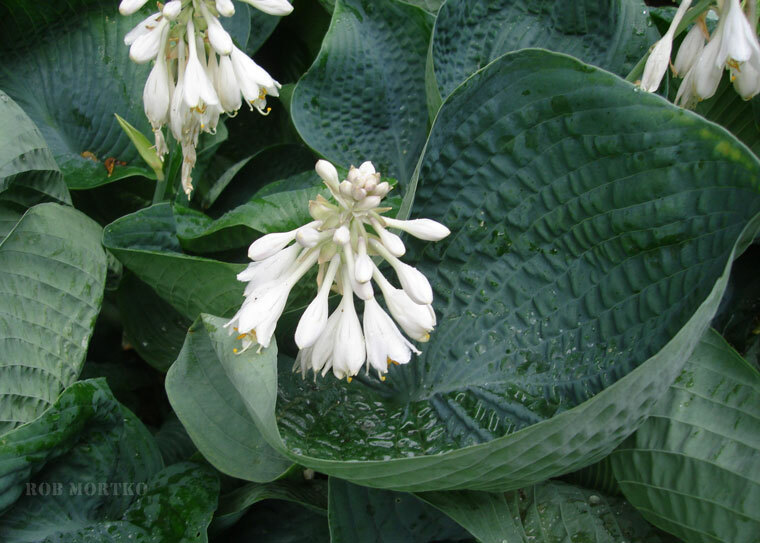 "Hosta of the Year” is the signature program of the American Hosta Growers Association, (AHGA), a trade association consisting of both retail and wholesale hosta growers (in the U.S., Canada and Europe), hosta tissue culture labs, and hosta hybridizers. 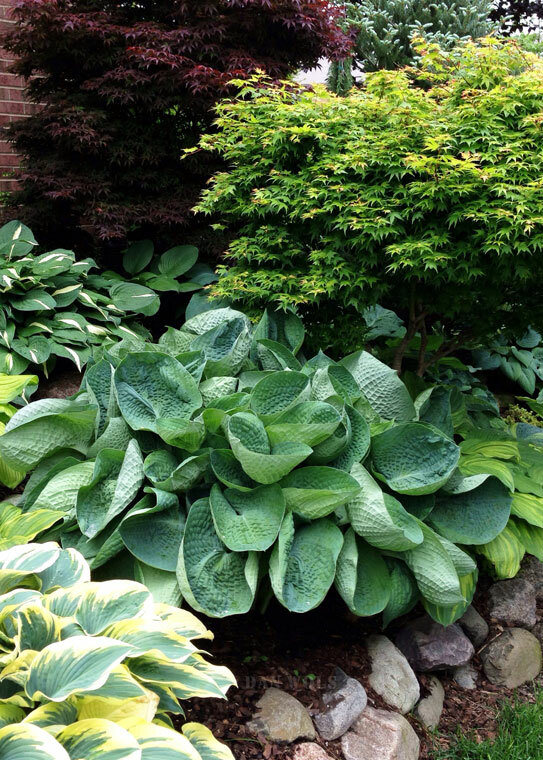 · All hostas, except previous winners, are eligible to be selected. That would exclude prior HOTY winners: ‘So Sweet’ (1996), ‘Patriot’ (1997), ‘Fragrant Bouquet’ (1998), ‘Paul’s Glory’ (1999), ‘Sagae’ (2000), ‘June’ (2001), ‘Guacamole’ (2002), ‘Regal Splendor’ (2003), ‘Sum and Substance’ (2004), ‘Striptease’ (2005), ‘Stained Glass’ (2006), ‘Paradigm’ (2007), ‘Blue Mouse Ears’ (2008), ‘Earth Angel’ (2009), ‘First Frost’ (2010), ‘Praying Hands’ (2011), ‘Liberty’ (2012), and ‘Rainforest Sunrise’ (2013). So, unlike the AHS popularity poll, we do not have repeat winners. The AHGA approaches the HOTY nomination and balloting process in a very democratic, three-step fashion. 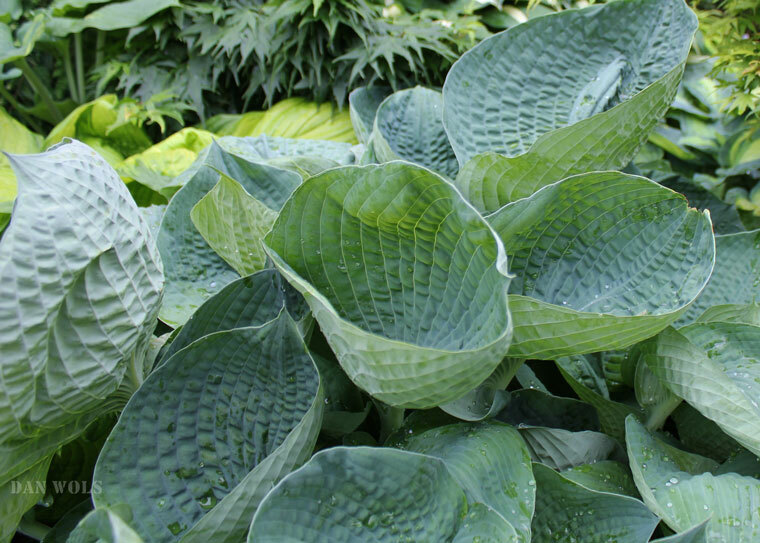 Every member of the AHGA may initially nominate up to three hosta cultivars for consideration. The resulting “long list” of nominees is sent to AHGA members where they vote for their top three choices. You might think that members would instinctively vote for the same three choices that they originally nominated, but, in reality, it doesn’t work out that way. The list is whittled down to a “short list” of the top 3 to 5 contenders. Members then pick a single cultivar on a final ballot. It is worth noting that the final contenders on the ballot are typically very worthy candidates, with the final voting often very close. It is not uncommon for the 2nd and 3rd place nominees to reappear in subsequent years. 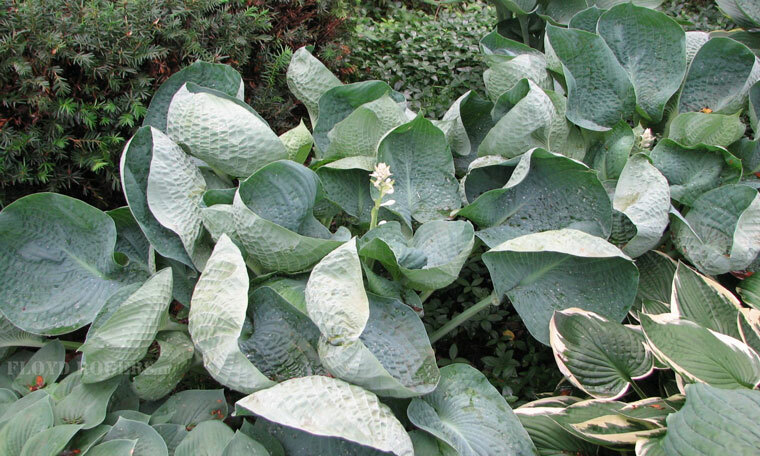 The 2014 Hosta of the Year is Hosta ‘Abiqua Drinking Gourd’. If you are looking for a poster child for cupping in hostas, look no further. This plant was registered all the way back in 1989, so it has indeed stood the test of time. It is a hybrid of ‘Tokudama’ and H. sieboldiana. While a bit slow, due to its parentage, it matures nicely to a 24” high by 46” wide mound of heavily corrugated, blue-green foliage. Individual leaves are nearly round at 11” by 11”, and they have excellent substance. Given its parentage, it is no surprise that it is an early bloomer (late June into early July), with near-white flowers held on scapes, which extend just barely above the top of the foliage. H. ‘Abiqua Drinking Gourd’ is a Dr. Charles (Chuck) Purtymun introduction. Chuck, Walden West (his gardens and hosta nursery located in Scotts Mills, Oregon), and the entire line of ‘Abiqua’ hostas are synonymous. Abiqua Creek flows through the central Cascade Range of Oregon. It is only a few miles from Walden West and a popular white-water rafting destination. When Chuck first started naming his hosta introductions in the late 1980s he used the ‘Abiqua’ prefix for most of them. Notable among his many introductions are: ‘Abiqua Recluse’, ‘Abiqua Moonbeam’, and the best known of them all, ‘Abiqua Drinking Gourd’. Dr. Purtymun passed away in 2007 at the age of 87. He was a retired dentist, who practiced in Arizona for 30 years. He tired of the hot Arizona weather and upon retirement in the mid-1970s moved to Oregon in search of a cooler climate. Only then did he get introduced to hostas. As his interest in hostas grew, so did his frustration about the limited number of local sources for hostas. The hosta nursery side of Walden West was born out of that supply frustration. At the same time, Chuck also began hybridizing and introducing his ’Abiqua’ series of hostas. His gardens were featured at the AHS convention held in Spokane, Washington, in 2002. After a number of ‘Abiqua’ introductions, it became clear to Chuck that most of us were hopeless when it came to properly pronouncing the word Abiqua. The correct pronunciation of this Native American Indian word is Ab’ - i - kwa with the accent on the first syllable (and not A - bik’ - wa as many of us are tempted to say). By the mid-90s, Chuck opted to abandon this prefix on his newer hosta introductions like the ever-popular ‘Paradigm’. H. ‘Abiqua Drinking Gourd’ meets the AHGA selection criteria quite well. Mark Zilis states that ‘Abiqua Drinking Gourd’ sets the standard for cupping in hostas, and I would agree. Besides the cupped foliage, it also holds its blue color well into the season. It is a perennial contender in the annual AHS popularity poll, routinely appearing in the Top 25 list.